Teaching Kids About Money – Should You Be Honest About A Difficult Financial Situation? 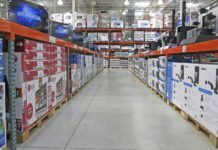 Many families are being hit hard by the recent economic recession, and will likely celebrate Christmas a little less extravagantly than usual as a result. This might mean making cheap homemade Christmas decorations and ornaments or buying dollar store items, using more frugal Christmas holiday gift ideas, and starting Christmas shopping early to save money and reduce holiday stress. You may be able to relate. Perhaps your kids are expecting the normal mounds of presents on Christmas day, but this year, it’s just not in the budget. So what are you to do? Certainly you can’t disappoint the kids, but at the same time you can’t afford to live beyond your means either. One answer to this predicament is to simply be honest about your financial state with your kids. Below are 8 key reasons why this may be a good option in order to teach your kids about money. If you’re like me, you always want to be a good role model for your kids in all aspects of life. However, we often struggle as a nation to show our children how to respect and handle money in a proper way. If you’re struggling financially, you can be a good role model to your kids by showing them that you refuse to live beyond your means even when it’s holiday time. Buying gifts is not a good reason to use credit cards and pile on consumer debt, and teaching kids not to borrow money whenever possible is an important lesson. Demonstrate to your kids how you handle and budget your money responsibly. This could be a priceless learning opportunity for them that leaves a lasting impression even into their adult lives. If you are honest with your kids and tell them upfront that they will not be receiving as many gifts this year, it should help avoid overspending and minimize some of the disappointment. It is hard not to buy your kids lots of gifts, but if you discuss the situation with them, and they know what to expect, it’ll be much easier for you to stick with your budget and prevent any overspending. This might also be a good time to teach your kids to save by creating a piggy bank or by using an online family allowance management tool like ThreeJars. That way, they can still earn some of the toys and items that they were hoping to get for Christmas by saving up on their own. The best way to teach your kids virtues is by being virtuous yourself. As the saying goes, you must practice what you preach. In order to be honest, you not only need to tell the truth, but you also cannot withhold the truth. This of course includes information concerning your difficult finances. 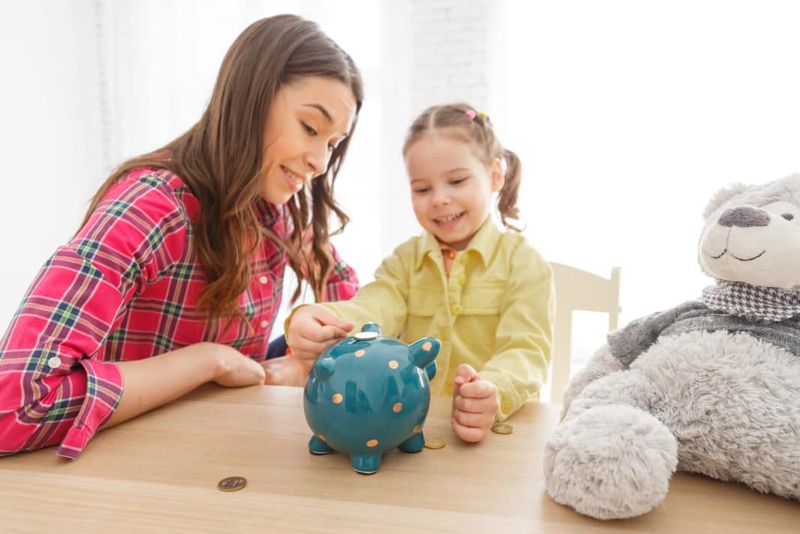 You may think that it’s better to keep your kids in the dark with some issues (and there are some instances where this is true), but finances have a large impact on your kids’ everyday lives and they should understand what’s going on. Life isn’t always easy, but it’s more manageable when you focus on the good in a situation. One of the positive things about any difficult situation is that it brings people closer together. So why not use bad for good by building stronger bonds in your family during the holiday season! Kids are very smart. They question everything and think outside the box. I’m not saying that you should rely on your kids to come up with ways to get you out of a sticky situation. What I am saying is that it’s okay to ask your kids what they think they can do differently to help the family. Although parents are ultimately responsible, this is a great way to teach kids responsibility as they jump in to contribute. In the real world, money does not grow on trees, and sometimes, money is tight. By being honest with your kids, you have a springboard to talk to them about being realistic in regards to money. Many families go through hard financial times, and it is nothing to be ashamed of. Help your kids realize that they can’t always get what they want and that there are more important meanings of holidays than just gifts. That’s great financial advice you can give as a parent. If you are in a difficult financial situation because of no fault of your own, this doesn’t apply to you. However, if you made some poor decisions, let’s say in regards to credit, then this is a perfect time to teach your kids about about your mistakes and how they can avoid the same traps. They will see the consequences of poor decisions and irresponsible spending first hand and be much better off because of it. Show your kids that despite challenging times, you are still hopeful and optimistic about a wonderful Christmas and a fruitful new year. Be an example of how to take a tough situation into your own hands. And if you are a religious family, demonstrate to your kids that you still have faith despite the fact that you are perhaps not being blessed financially. Should You Be Honest With Your Kids About Having Lots of Money? Consider now the flip side. What about families that have lots of money? Should they also be honest with their kids about their financial situation? Absolutely! Show your kids that having money doesn’t mean you can go on an all-out shopping spree. You still need to be responsible with your money even if there seems to be a large supply now. Reassure your kids that everything will be okay. Don’t just say that you don’t have any money and leave it at that. Instead, tell them what you do have money for and explain what types of changes are needed in lifestyle. Focus on the positives and ask them to contribute ideas on how to save or earn money for the family. Keep an open dialogue going concerning finances. Ask if your kids have any questions and concerns. Continue to teach them along the way and involve them as much as possible as you try to improve the family situation. Make sure your kids know how much you love them. Spend some extra time with them. Perhaps get rid of the cable and have a family game night. There are actually quite a few activities for kids that don’t require any money. Quality time with parents is very important to kids, often more so than physical gifts (isn’t this a common theme with a lot of holiday movies?). Have you ever been put in a difficult position where you needed to be honest with your kids about your financial situation? If so, what is your story? Share your experiences in the comments below!